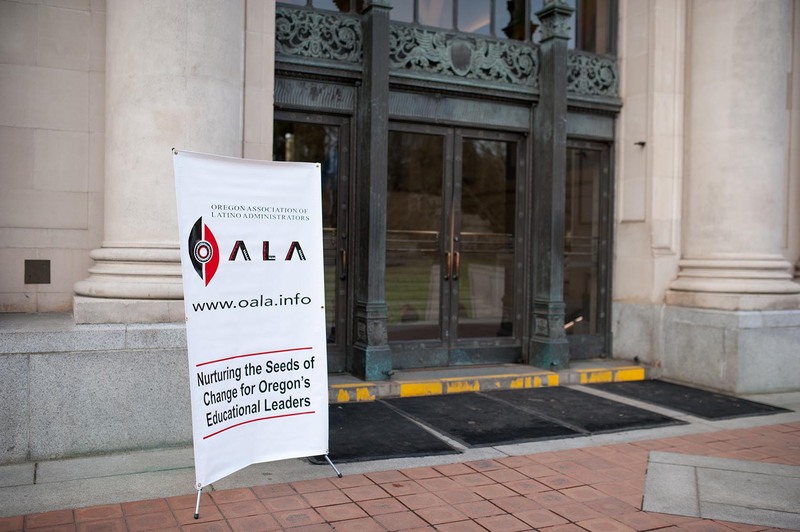 On March 15, Oregon State University hosted the 2014 Oregon Association of Latino Administrators (OALA) conference, a gathering of more than 200 Latino high school principals and education leaders from across the state. Through exhibits and speakers, the event demonstrated efforts to create a more diverse, inclusive, and challenging learning environment for future leaders in STEM professions (Science, Technology, Engineering, and Math). The College of Engineering’s Women and Minorities in Engineering (WME) program collaborated closely with conference organizers to showcase the university’s resources for underrepresented minority students in STEM fields and to create a closer dialogue between K-12 schools and higher education. WME Director Ellen Momsen said the partnership with OALA was also timely, since Oregon recently adopted the Next Generation Science Standards. 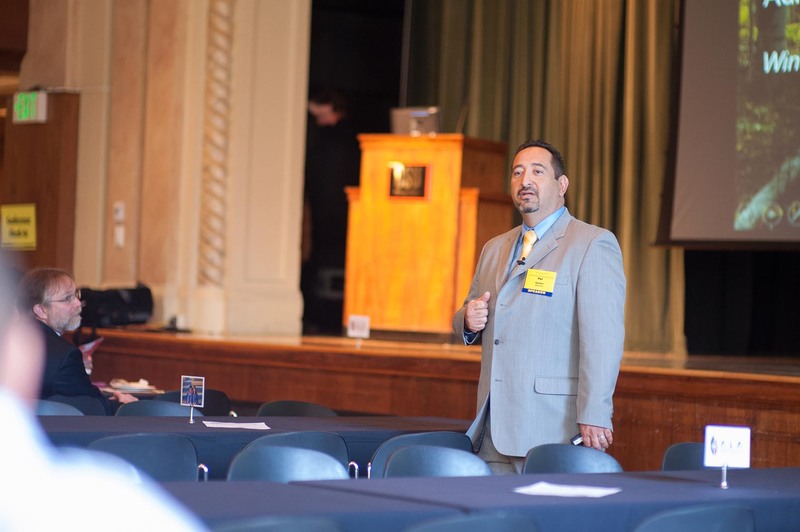 Conference attendees heard from superintendents, former principals, and other administrators who shared innovative learning strategies for Latino students. Sessions featured topics on eliminating barriers for Latino students in Oregon, rural Latino education, and closing the achievement gap for English Language Learners. Attendees also had a chance to meet students from Oregon State’s Louis Stokes Alliance for Minority Participation (LSAMP) program. LSAMP, a partner program of WME in the College of Engineering, is dedicated to increasing the quality and quantity of traditionally underrepresented students who complete science and engineering baccalaureate degrees. Posted in Departments and Programs, Outreach, Students.